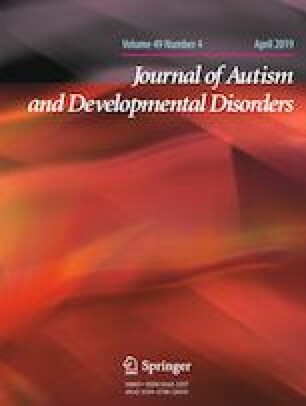 Employment outcomes for individuals with autism spectrum disorder (ASD) are poor and there is limited understanding on how best to support individuals with ASD in the workplace. Stakeholders involved in the employment of adults with ASD, including employers and employment service providers have unique insights into the factors influencing employment for this population. Organisational and individual factors facilitating successful employment for adults with ASD across Australia and Sweden were explored, including the supports and strategies underpinning employment success from an employers’ perspective. Three themes including Knowledge and Understanding of ASD, Work Environment and Job Match emerged, suggesting that a holistic approach was key to supporting success, with employer knowledge and understanding of ASD underpinning their ability to facilitate employment. The authors would like to acknowledge the participants who took part in this research. CT, SG and MF conceptualised the study. JD undertook data collection and data analysis. JD drafted the manuscript with CT, SG, MA, MB and MF. All authors contributed to the interpretation of results, reviewed the manuscript critically and approved the final version. This study complied with the Helsinki Declaration (World Medical Association 2008) and ethical approval was obtained by the Curtin University Human Research Ethics Committee (HR 16/2014), Perth Western Australia. Written informed consent was obtained from all participants and all names have been changed for confidentiality reasons. Informed consent was obtained from all participants included in the study. Participants were provided with information outlining the aims and procedures of the study prior to providing written informed consent to participate and informed of their ability to withdraw from the study at any point without the provision of justification or prejudice. Describe the workplace, how many employees in total, how many with disability? What is the job he/she in doing? How many hours a week does he/she work? How was this person recruited for the job? What supports your company to employ persons with disabilities? What would you say that this person bought to the workplace? What are the personal characteristics that creates a good job match between this person and the job he/she is doing? Have you been involved in the job matching process? What would you regard as the most important aspects of a job matching process? How would you describe that these personal characteristics are in relation to/compared with ‘other’ employees? Did this person receive any specific training in order to succeed in this job? What are the most important things that you do in order to allow this person to succeed in his/her job? What kind of support has this person got that has been successful? (How) Do you evaluate job satisfaction with this employee? How does the team work with this employee? What kind of support is given to/would be needed for co-workers in order to create an autism friendly workplace (training for co-workers)? What kind of support do you get/would you need in order to be successful in your role? Do you have a plan for providing support to the employee if you are not available? What would be your advice to an employer that is employing a person with ASD for the first time? What would be your advice to a line manager that is supporting a person with ASD for the first time? Could you give an overview of the organisational structure of your organisation? When is a person eligible to your service? How would a person typically “come in’ to your organisation? Who would be a “typical” employee receiving your services? Is there any time limit to access services? When would a person be ‘discharged’ from your services? Do you have any clearly define stages “from a person ‘coming into your organisation’ to getting employment? Could you describe the employment model/processes that you use? What kind of support do you provide during the process (interview, ongoing support)? Do you have a defined protocol for the job-matching process? How do you evaluate the outcome of the services on an individual level/ organisational level? Do you have collaboration with other employers/organisations? How do you connect with other employers/businesses/organisations? Do you collaborate with other ‘treatment teams’ (medical, social, rehabilitation, the individuals social network)? What kind of workplaces/employment do you have access to? How would an individual transfer to open employment? Do you follow up former employees who has transferred “out” of your organisation?